The upcoming episode of Star Plus popular daily soap Yeh Rishta Kya Kehlata Hai is gearing up for some interesting twist and drama. 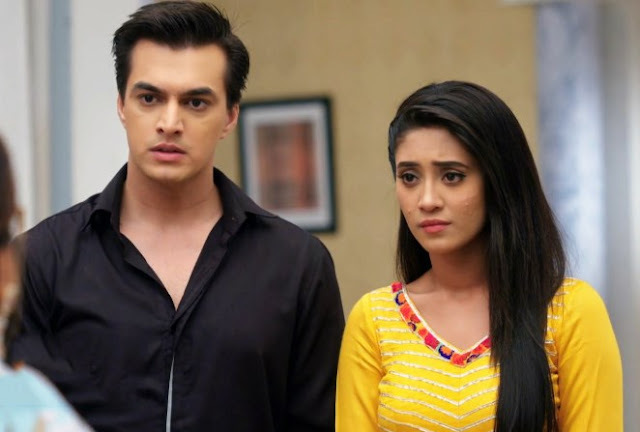 Kartik and Naira are going through tough times as they have to face each other and still ignore and control their pain. Kartik (Mohsin Khan) and Naira's love doesn't let them forget their pain and recalls moments of love spent together. Naira (Shivangi Joshi) had to give re-test to Kartik and comes to him, Kartik asks Naira to write paper. Naira mistakenly drops the papers and both Kartik (Mohsin Khan) and Naira gets under the table to get the paper. Naira (Shivangi Joshi) thus dreams of loving and cosy moment with Kartik where they kiss each other but Kartik soon breaks Naira's this dream.